TOKYO — The defection of a North Korean senior diplomat in London poses a major problem for Pyongyang on a number of fronts — not least of which is how to publicly respond. As of Thursday, Pyongyang hadn't made a public statement about the defection. But when — or if — it does, its response will likely be ferocious and accusatory. 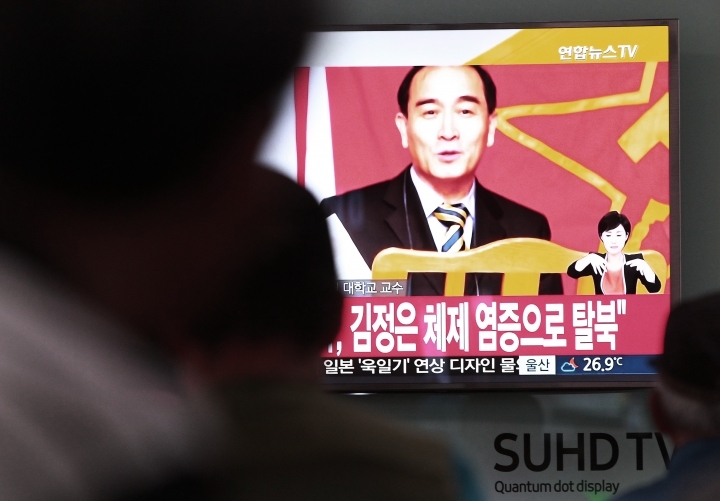 Seoul's Unification Ministry announced Wednesday that Thae Yong Ho, minister at the North Korean Embassy in London, has arrived in South Korea with his family and is under the protection of the South Korean government. Thae was the second-highest official in North Korea's embassy and is the most senior North Korean diplomat to defect to the South. Seoul, which doesn't always divulge defections, was quick to seize on this one as evidence of growing dissent within the North's ruling elite. Its Unification Ministry claimed Thae defected because of his disgust with the Kim Jong Un regime and worries about the future of his children. A spokesman for the ministry further said that the defection is a sign of weakening unity within the North's ruling class. Extrapolations about the bigger significance of individual defections should be taken with a grain of salt. Seoul and Pyongyang have strong political and propaganda motivations for the way they handle announcements about defections. Analysts generally agree there are no significant signs Kim Jong Un's regime is weakening. Moreover, previous defections of officials from the North have by and large been isolated incidents that did not lead to a chain of more choosing to flee. Thae himself has not yet spoken in public about his motives and details about the context of his defection remain sketchy. Defectors are referred to by the North in the harshest of terms. "Human scum" is a common epithet, along with "criminals" or "traitors." Pyongyang often accuses the South of tricking or paying its citizens to defect, or claims that they have simply been kidnapped. In April, 13 North Koreans working at a North Korean-operated restaurant in China defected to South Korea in the largest group defection since Kim Jong Un took power in late 2011. The North responded furiously to the South's account of the flight of the restaurant workers, alleging repeatedly that the women — 12 waitresses and their manager — were tricked into thinking they were being transferred to work at another restaurant in Malaysia. It has also presented the colleagues and parents of the waitresses to North Korean and international media in Pyongyang to appeal for their release. Seoul categorically denies any wrongdoing. 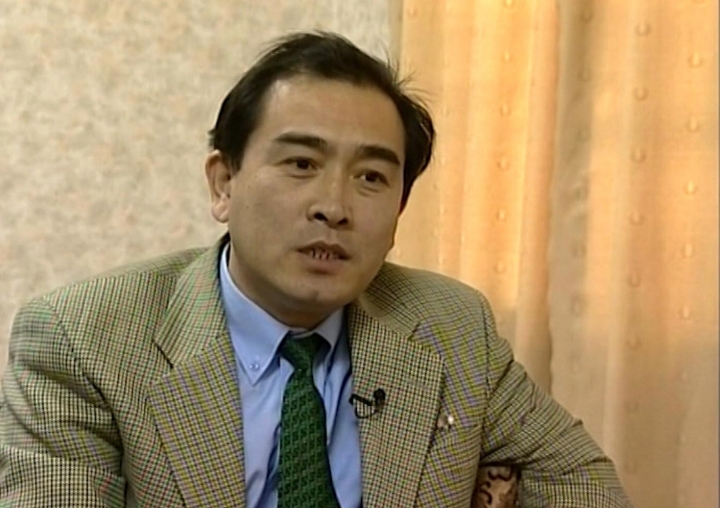 Thae's case presents a more difficult conundrum for Pyongyang. 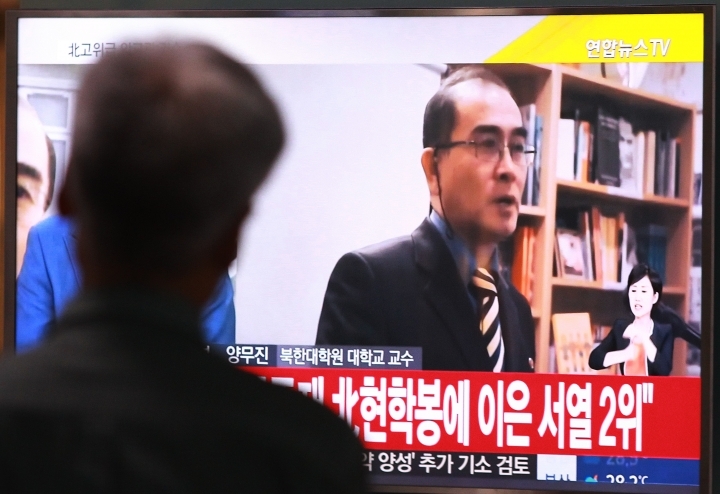 Though South Korea doesn't always make high-level defection cases public, its announcement of Thae's flight comes as ties between the rivals are at one of their lowest points in decades. North Korea conducted its fourth nuclear test in January and Seoul been working hard to apply more international pressure on the North. He had worked at the London embassy for about 10 years, Yonhap said. Previously, he worked at the now-closed embassy in Denmark and spent a short period of time at the embassy in Sweden, it said. In 1997, the North Korean ambassador to Egypt fled, but he resettled in the United States.